Lee Friedlander (born 1934) first visited the birthplace of jazz in 1957, and immediately set about photographing the aging pioneers of the art form. His love of the music and the people of New Orleans drew him back to the city, and the relationships he formed over time gave him intimate access to a scene that forged one of America’s most original artistic traditions. 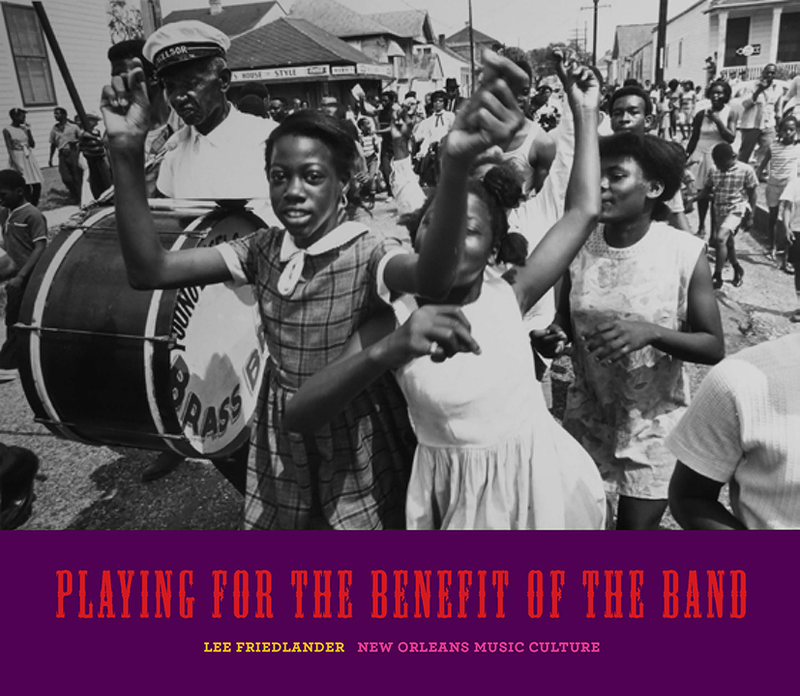 A revised and expanded edition of his 1992 monograph The Jazz People of New Orleans, Playing for the Benefit of the Band features over 200 photographs taken by Friedlander between 1957 and 1982, many of which are published here for the first time. Storied figures such as Duke Ellington and Mahalia Jackson have been captured by Friedlander’s disarming lens, and Sweet Emma Barrett, Sister Gertrude Morgan, Johnny St. Cyr, and other luminaries are seen in their homes and the back rooms in which they gathered to play. Also included are photographs of the city’s second-line parades, whose jubilant dancing has long been a defining aspect of New Orleans jazz culture.